No sooner have we finished one show than it’s time to think about the next one! 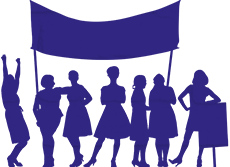 TAOS Musical Theatre is very proud to be one of first groups in the area to perform the newly released “Made In Dagenham”, based on the true story of the Ford workers in 1968 who fought for equal rights. Performance dates are 16th – 20th May 2017 at the Arc Theatre. Our Director will be Lyn Taylor and Musical Director is Julian Clementson. There are 10 named women and 19 named men in the show (though some men are likely to double), including major roles such as Harold Wilson, Barbara Castle, Ford Management, and the main family, so there will be plenty for people to do. We will require a boy of playing age 12 who has singing as well as dialogue. Due to the nature of the show, Lyn and Julian would like to rehearse on Tuesday 3rd and Wednesday 4th January, followed by auditions for the major roles on Sunday 8th January. The following week there will be a rehearsal on Tuesday 10th then a workshop audition on Wednesday 11th for the remaining roles (where you will be asked what parts you are/aren’t interested in). The show will then be cast in the next day or two. Rehearsals are likely to be set by scene, so it won’t necessarily be chorus on Tuesdays and principals on Wednesdays, you may be called twice one week and not the next. Venues have yet to be confirmed for Wednesdays. I hope to see you on Tuesday 3rd January 2017 in the Spectrum Centre at Clarendon Academy, 7.30 pm. https://taosmusicaltheatre.co.uk/wp-content/uploads/2016/11/girls-int.png 167 230 TAOS_admin https://taosmusicaltheatre.co.uk/wp-content/uploads/2016/11/TAOS_musical_theatre-265x300.png TAOS_admin2016-12-07 15:44:082016-12-07 16:39:25Made in Dagenham! SPAMALOT TICKETS NOW ON SALE! TAOS_admin on Made in Dagenham Tickets! Andrew on Made in Dagenham Tickets! 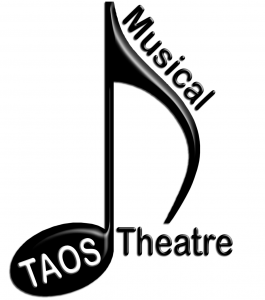 Happy New Year from TAOS Musical Theatre!